In the modern smartphone market, any self-respecting manufacturer feels obligated to no longer present a single device, but rather an entire product series. So it's not surprising that Huawei's P30 comes as a pair: the standard model and the Pro version. We've already managed to get our hands on the Huawei P30, and these are our impressions so far. 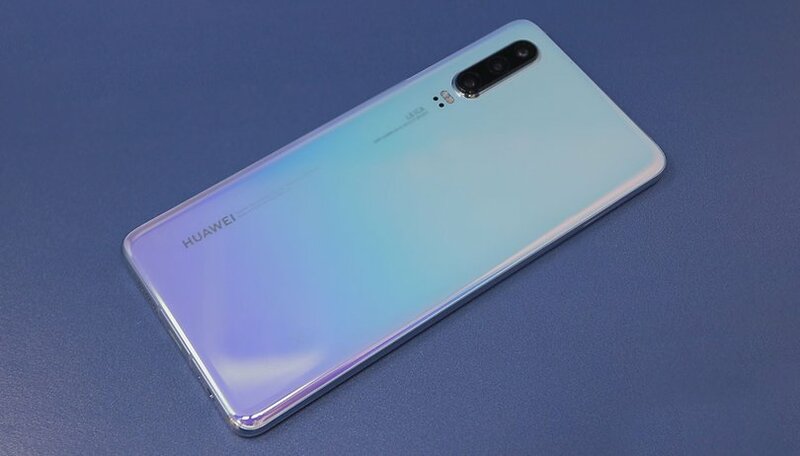 The Huawei P30 will be available in a single hardware configuration (6 GB RAM, 128 GB storage) from April 2019 for 749 Euros. The flagship comes in three colors: Black, Breathing Crystal and Aurora. Dual and single SIM models should be available, depending on the supplier supplier. With its 6.1 inch size, the Huawei P30 handles more easily than the Pro model. One could almost think that Huawei used parts of the predecessor for the housing of the P30. Even so, that's no bad thing, because the build quality of the P20 Pro case was very high. On the back, the differences are hardly visible to the layman, but if you place the P30 next to the P30 Pro, there are small differences due to the different camera setup. After all, the P30 has all three cameras integrated into a common frame. Like the P20 Pro, Huawei is once again using an OLED panel for the P30 display, with a Full HD+ resolution. But there are no curved display edges like on the P30 Pro. The notch has become narrower, while the speaker is recessed between the housing frame and the display edge, similar to the Galaxy S10. With the pre-release device we tested, colors and contrast look rich and the display has great viewing angles too. The optical in-display fingerprint sensor is also available on the P30 and, according to Huawei, is an improved model of what we found on the Mate 20 Pro. While the P30 differs from the P30 Pro in terms of appearance and numerous features, they are united when it comes to software. Both models are delivered from the factory with EMUI 9.1, based on Android 9 Pie. In terms of internal hardware there is no significant difference between P30 and the Pro model. The Kirin 980 SoC and the Mali G76 graphics unit with Dual NPU forms the central computing unit. With 6 GB of RAM and 128 GB of internal storage, there's only one memory configuration to choose from, but the performance of the Huawei P30 should still be close to that of the Mate 20 Pro or its sister model. Huawei is giving the cheaper P30 the new 40 MP SuperSpectrum Sensor, just like the P30 Pro . With the P20 and P20 Pro last year, they went a different way. At that time only the P20 Pro was equipped with the 40 MP sensor, while the P20 "only" got a 12 MP sensor for the RGB camera. There is no difference between P30 and P30 Pro for the main sensor, but for the remaining cameras, there is a distinction. In the case of the ultra-wide angle camera, this concerns the sensor with "only" 16 megapixels on the P30. Bringing distant objects closer with an optical zoom is not as easy with the P30 as with a P30 Pro, because the conventionally constructed lens without a prism allows for a maximum 3x zoom. Whether you will miss the Time of Flight sensor or possibly have worse depth of field effects in portraits, we'll have to examine in our tests for the final review. In the 6.1 inch Huawei P30 there is of course less room for a battery with the capacity of a Huawei Mate 20 Pro or P30 Pro. The energy cell of the P30 has a capacity of 3,630 mAh and can only be charged with 22 Watt fast charging technology. At least Huawei managed to include wireless charging with 15 watts on the P30. If the P30 Pro is too big, too expensive and packs too much zoom for you, the Huawei P30 is an attractive alternative. Compared to last year's P20 series, the two P30 models share the same main camera sensor, so that the photos taken with it are identical. With the quality of the ultra wide angle and telephoto cameras, the P30 probably has to accept a few losses, such as the depth blur effects, as the Time of Flight camera is missing in the P30. Anyone who can live with these "limitations" will certainly be well served by the P30. And sometimes less is deceiving.